There is something about the colorful fall leaves that children really love. 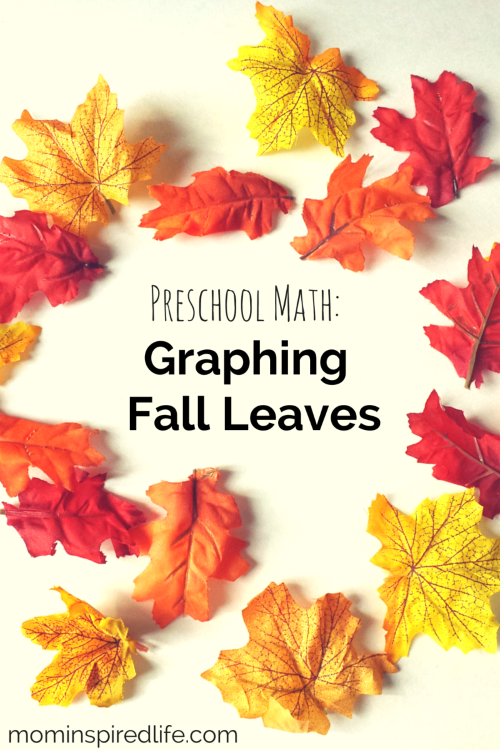 Graphing fall leaves by color is an excellent preschool math activity that your kids will enjoy. 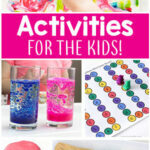 This activity is a great way to work on counting, classifying and graphing. Even if you don’t live in a location where the leaves change colors, you can still do this. Fall leaves of different colors – The ideal scenario is to go out and collect leaves with your child. However, the leaves haven’t turned colors yet, so I bought fake leaves from the Dollar Tree in the section where they have the fake flowers. I made sure to get red, yellow and orange leaves. For $2 I had about 30 leaves. I cut the leaves of the stems they were on. They also sell packs of loose leaves at the Dollar Tree, but they didn’t have the colors I wanted. 1. Make labels for each color on a rectangular piece of paper. I cut 3 small rectangular pieces of paper from construction paper to match the color categories. 2. Go outside with your child and collect leaves OR get out your fake leaves. 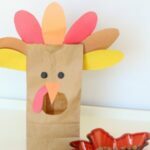 You can even create a leaf hunt with the fake leaves by spreading them out all over the house and having your child go around finding and collecting them. First, I had Evan go around the house collecting all the leaves a left around. He really liked this aspect of the activity. It made it fun and playful and that’s just the way we like it. Once he collected all the leaves I had him separate them into piles my color. After we did that, we started graphing them. 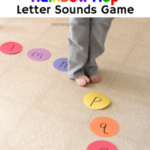 I just put the color labels on the floor and then we lined up the leaves above them. Finally, we discussed the graph. 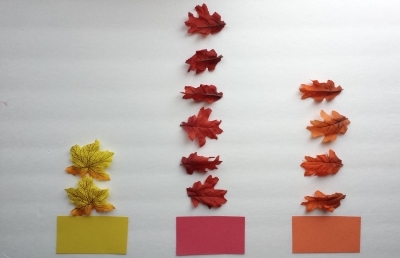 I asked him which color had the most leaves and which had the least leaves. We also counted the leaves in each column. 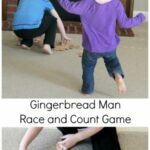 This is a great way to work on color identification, counting and even basic graphing. Have fun!